Lindsay Mack is one of the most important new voices in the world of modern spirituality and wellness right now. 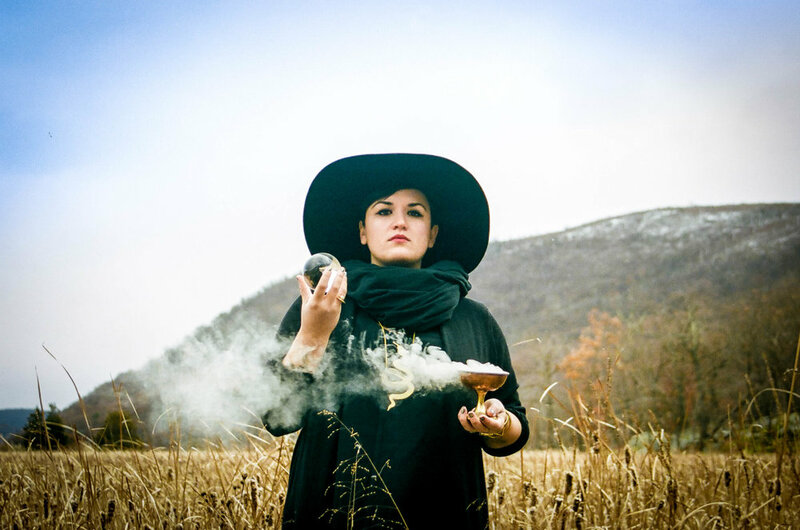 Her podcast Tarot For The Wild Soul has had over two million downloads, she’s taught thousands to read tarot for themselves through her online school, and her wisdom, intelligence and activism has gained her a cult following. But despite her intuitive gifts, she never predicted or sought her incredible success. When we asked her how she feels about being dubbed the “Oprah of the tarot world,” she is at a loss for words. “I don’t know if there’s a better person to be in, very small, tarot-related shoes around. It’s really beautiful,” she says after after a long pause. Here she shares how she found her way home using her deck of cards as a map. Lindsay gave up acting and retrained as a holistic coach before launching her business Wild Soul Healing. Her unique interpretation of the 78 cards is based on her own incredibly visceral experience. “Accidentally, tarot started to become my anchor during my deepest processing of my PTSD. I found that it was very effective for me to go to my deck during the darkest of moments to say, "How can I be with this? Just this. Just this. What does my body really need from me? What am I being invited to pay attention to?" Here we share some of our all-time favourite Lindsay lessons. “There's really no card that depicts or does exactly what it shows. It's just all parable. It's all symbolism, all teaching, you know? I just have to say this: that the death card doesn’t means that someone's going to die because that is not true! “Tarot can be such a beautiful tool if someone wants to connect with something greater. Some people, it's hard for them to meditate. Tarot can be a really great gateway in, you know? For more information on Lindsay’s online courses, podcast and other offerings check out her site.